Bunnies with baskets full of rainbow-colored creations, chocolate treats wrapped in shiny foil, hand-dyed eggs hidden in the backyard to be hunted; nothing says Easter like Easter eggs. While the only objective for dying eggs in the United States is for them to be as bright and colorful as possible, other Easter egg designs from around the world are rooted in religious beliefs and cultural traditions. Painted or dyed, wrapped in wire or plastered in paper, these eight classic designs are the perfect inspiration for this year’s egg-decorating party. Easter is all about pastels in the US, but Greece does it totally differently. 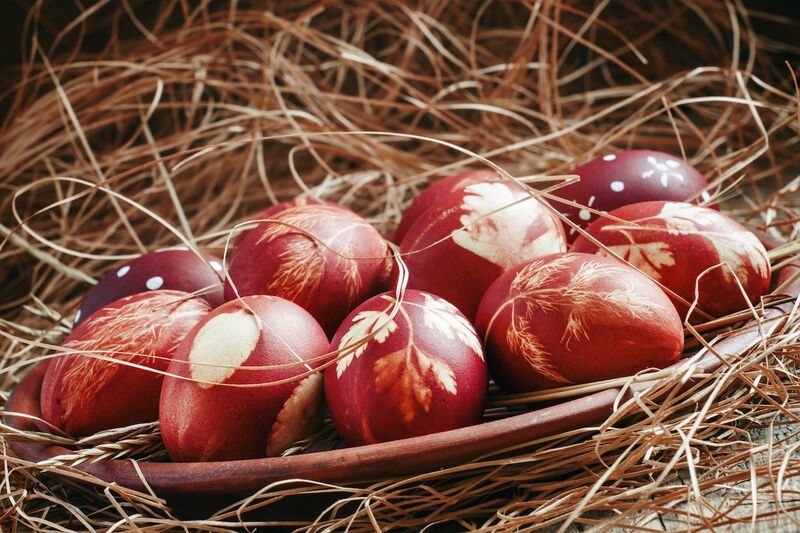 Rather than soft, sweet colors, Easter eggs are dyed a dark, striking red in accordance with Greek Orthodox tradition. While the exact reason for the red dye is unknown, the most common theory suggests that the color represents Christ’s blood at the time of his crucifixion. An even more involved explanation likens the eggshell to Christ’s tomb and the cracking of the egg to his resurrection. 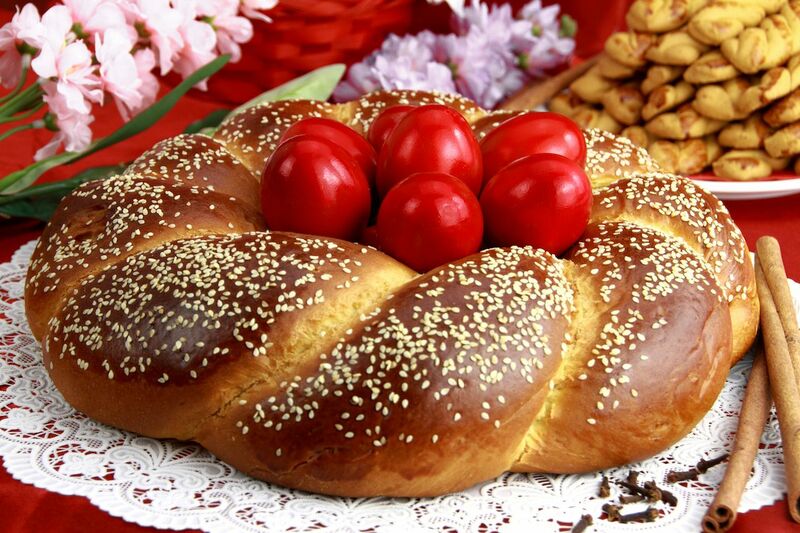 Kokkina avga (the red-dyed hard boiled eggs) often decorate the traditional Greek Easter sweet bread known as tsoureki. These ornate Czech Easter eggs are hand decorated using a combination of dyes and wax. Wax is applied to the shell and peeled off after the egg is dipped in dye to create the desired pattern. There are often several dyeing stages using various shades to add nuance. Geometric and floral patterns are popular, as are religious symbols, though the practice predates Christianity and has roots in paganism. Another traditional technique is to wrap neatly latticed wire around hollowed out eggs, sometimes using beads for extra flair. But when it comes to decorating at home, wax and dye are the go-tos for Czech families. 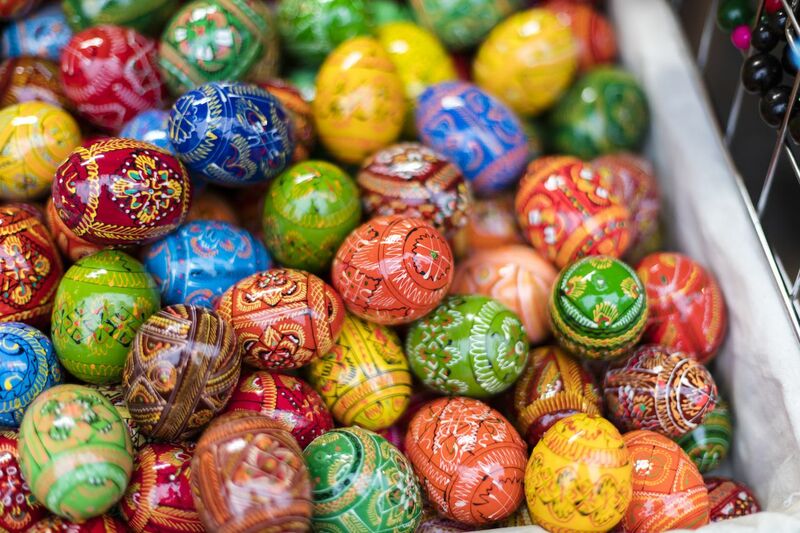 Ukrainians use a wax-resist batik method to decorate their iconic Easter eggs, called pysanky. Pysanky are known for having bright, bold, geometric, or floral patterns offset by black or dark backgrounds, a color scheme that sets them apart from other Easter egg designs from the area. 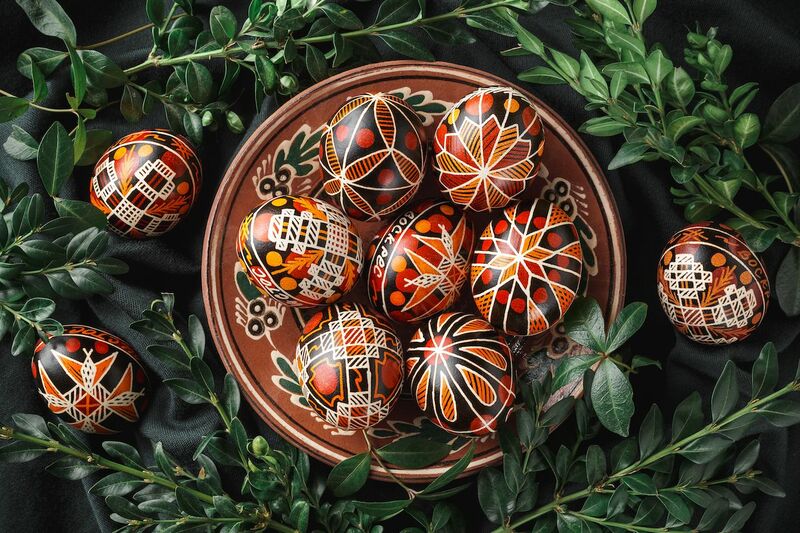 Although the exact origin is unknown, decorated eggs are an old tradition and excellent example of Ukrainian folk art. In fact, there’s even a museum dedicated to them in Kolomyia, Ukraine. Slovenia’s the place to celebrate Easter for anyone against food coloring. The traditional Slovenian method of dying Easter eggs entails securing plant sprigs or flowers to an egg with a tin net (cut up pantyhose work very well) then boiling them with onion skins, yielding an earthy red Easter egg with a floral motif. Dye is common in Slovenia today for a quicker, more colorful bounty, but many households still participate in the all-natural dyeing practice that makes Slovenian Easter eggs so special. German Easter egg traditions date back longer than the US has existed. Egg dyeing and egg hunting are common, but Germany takes the festivities up a notch with egg races to see whose egg rolls fastest down a hill and egg smashing to see whose holds up and whose cracks. 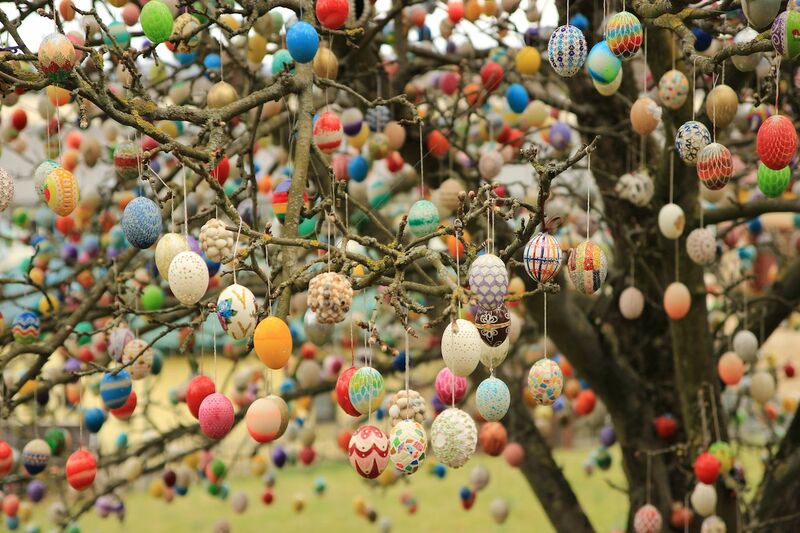 Eggs are also handed out as Easter gifts, sometimes like a Valentine from a kid to their crush, and Easter trees (or osterbaum) decorated with ornate eggs are a common sight. Like the Ukrainians, the Germans are so into their Easter eggs there’s a whole museum dedicated to showcasing their designs outside Stuttgart known as the Osteri Museum. Japanese Easter eggs are made using paper rather than dye. Washi paper is a fibrous, traditionally hand-processed material used for everything from origami to prints to clothing. During Easter, eggs are hollowed out, wrapped in folded washi paper, then covered in varnish. Washi paper typically features colorful, intricate designs and often incorporates flowers, birds, and other traditional Japanese imagery, lending to beautifully detailed Easter ornaments. Cascarones are hollowed out eggs stuffed with confetti or small toys like mini pinatas. They’re a staple of Mexico’s Carnival celebration but also standard during Easter, particularly near the US-Mexico border. Eggs are dyed dazzling colors before being emptied, and colored tissue paper is generally plastered over the hole made for hollowing. Cascarones have a long history that travels from Asia to Europe to North America, but today, they’re Mexican icons. It’s customary to crack confetti-filled cascarones over other people’s heads for good luck. Fabergré eggs look more like crown jewels than arts-and-crafts projects. Tsar Alexander III commissioned the first from Peter Fabergé as an Easter gift for his wife Maria. 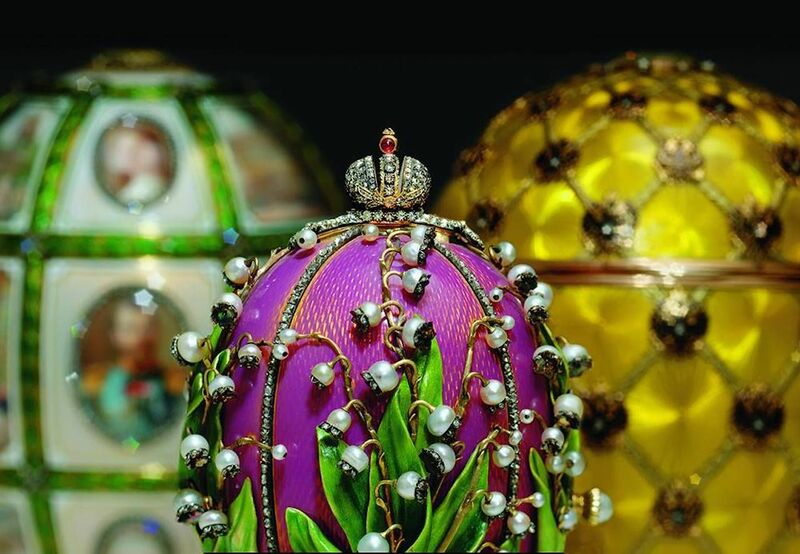 Fifty eggs were created for the Russian royal family in total between 1885 and 1916, aptly called the Imperial Eggs, each an enameled marvel uniquely bejeweled with diamonds and semi-precious stones. You probably won’t be able to recreate this design at your kitchen table, but you can head to the Fabergé Museum in St. Petersburg to see the magnificent collection of those eggs.